In order to do all of those great things, you and your group need an amazing place to stay. One of the best places to stay in the area is our 5 bedroom cabin rentals in Pigeon Forge TN. There is nothing better than getting to enjoy breathtaking views when you are on vacation. You and your friends can enjoy some of these amazing views at one of our 5 bedroom cabin rentals in Pigeon Forge TN. Many of our cabin rentals feature some of the most amazing mountain views in the area. If you want to see even more amazing views you can travel around to the Smoky Mountains which are not far from any of our 5 bedroom cabin rentals in Pigeon Forge TN. After a day of exploring the beautiful mountain views, there is nothing better than getting to sit back and relax with your favorite friends. You and your friends can relax on your cabin’s deck and admire the beautiful views. If the weather is colder there are also great hot tubs and fireplaces in the cabins for you and your friends to use and swap stories around. Don’t forget to check out the cabins with theater rooms and game rooms, for movie nights and game nights with your friends during your trip away. Also, put your cabin’s full kitchen to use by having you and your friends cook a delicious meal together and then sit down at your cabin’s large dinner table to enjoy the meal together. Our 5 bedroom cabin rentals in Pigeon Forge TN really do provide you and your friends with everything you need. Of course, you are going to want to explore all the other great attractions in the Pigeon Forge area besides the beautiful mountain views. Luckily, our 5 bedroom cabin rentals in Pigeon Forge TN are located near all of the amazing attractions in the area. You and your friends are going to want to explore them all. Some of the best attractions in the area include Dollywood, where you can enjoy local crafts and exciting theme park rides, or the musical dinner shows like the Lumberjack Feud or the Dixie Stampede, don’t forget to visit the many amazing go-kart and mini golf locations, where you and your friends can make some unforgettable memories. Getting to go on vacation is an exciting experience and it is even more exciting when you get to go with your favorite friends. 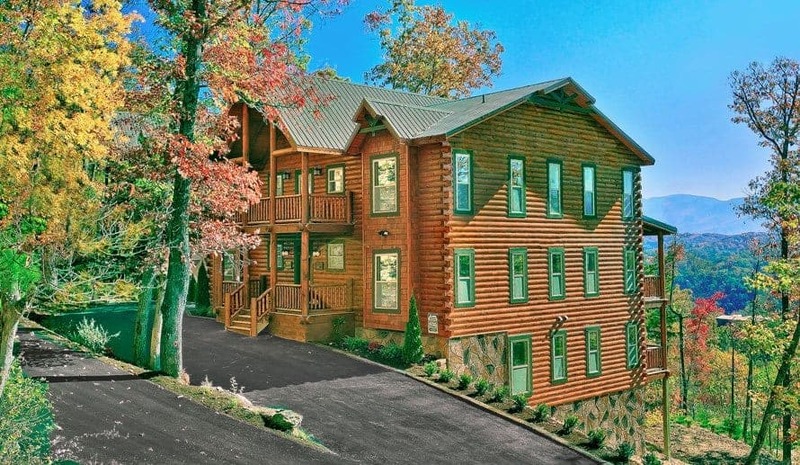 Don’t miss out on this once in a lifetime experience, by booking one of our 5 bedroom cabin rentals in Pigeon Forge TN today.